InterPlex Transportation - Global Transportation and Limousine Service for Business or Leisure Travel! InterPlex Transportation – Happy People on the Move! 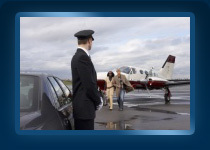 InterPlex provides the world’s most complete, convenient, and memorable ground transportation, limousine, and car services experience for business or leisure travelers, by utilizing cutting edge technology and innovative business practice. Our long-lasting success and growth are based on the core Values and Principles we embrace, and the strong Reputation build through the years by applying the highest Standards in Service, Ethics and Integrity. A smiling face is all you need sometimes! The people of InterPlex Transportation will not just provide you with the service you pay for. We can do so much more. Our agents will help you plan your trip. Our polite chauffeurs will try to make you feel good during the time we work together. We will do our best to help you keep the best memories from our service. Whether it’s a business trip or a family vacation, we are here to provide you with the most pleasant experience. Profesional Service ! More then I expected! The Chauffeur went out of his way to provide a service way above my expectations! Could not find any other transportation company in the region member of the Better Business Bureau! Our first experience with Interplex was Fantastic! Samuel met us at the airport, was very friendly and professional, prompt and reliable. We had a "suprise" destination for our group and he was very helpful keeping it a suprise! In total, they transported our group to Disney Dolphin, to the Cruiseport and back to airport, to Downtown Disney, then back to airport on 4 seperate days. They were great! The rates were reasonable and the drivers were courteous. We cannot thank them enough! Samuel was our driver twice, and we absolutely loved him! We will use Interplex again!